IU's commitment to sustainability is pervasive, and goes beyond an office of sustainability to ensure that together we are able to sustain IU throughout the university. Each campus stakeholder, embracing excellence, innovation, and stewardship of the resources entrusted to IU, has a role to play. Full integration means that IU is an authentic leader of sustainability nationally and globally and a catalyst for positive change across all scales. Sustainability, as a desired outcome and a lens for problem solving, must become fully integrated into the university. Our office approaches the broad field of sustainability through seven commitments—evident throughout the University. 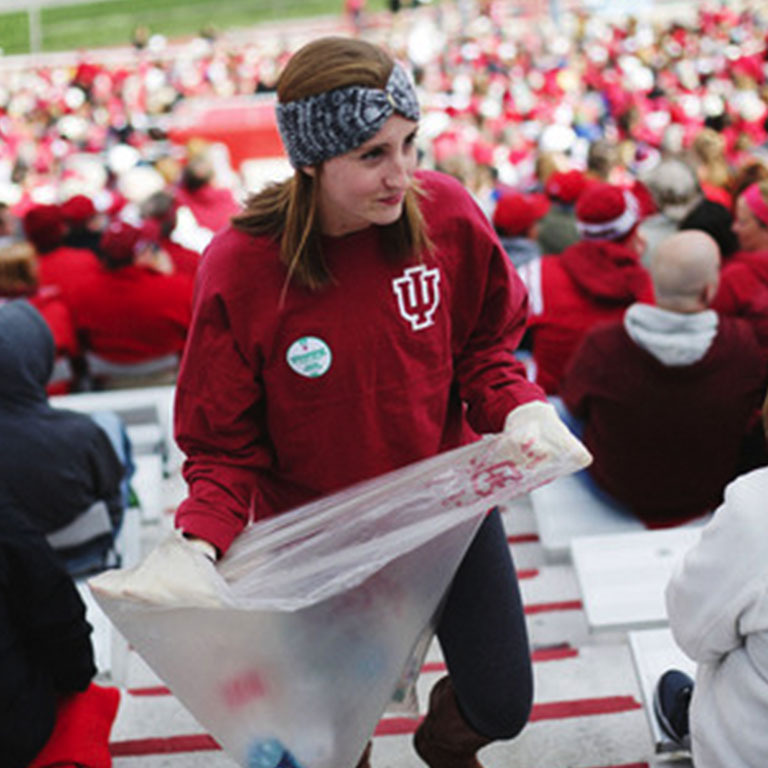 From our world-renowned Academics + Research, to our commitments to Sustainable IT, Food, Energy + the Built Environment, Resource Use + Recycling, Transportation, and Environmental Quality + Land Use, IU is focused on viable and indelible campus sustainability impact. These indicators are a set of key metrics to help us track our progress towards the long-term goals, and are intended to reflect the vision defined by Campus Master Plans and the Bicentennial Strategic Plan. While sweeping in scope, these indicators also serve as guideposts when approaching our work, and accountability measures when sharing our progress. IU participates in Sustainability Tracking,Assessment and Rating System (STARS), a self-reporting tool used by higher-education institutions to measure their sustainability progress, through the Association for the Advancement of Sustainability in Higher Education (AASHE). It is a way to encourage information-sharing and allows us to compare our institution to those of our peers. IU is making tremendous strides. Our IU Bloomington sustainability rating continues to place at the gold level, according to AASHE, giving IU the highest rating in the Big Ten Conference. As we work to make IU a leader in campus sustainability, the Provost has allocated $50,000 per year from fall 2016 to spring 2019, to support the new IU Sustainability Innovation Fund. Ways you can commit to sustain IU! These are just a few ideas to help you start thinking about how your actions can help impact sustainability efforts on the campus, in the classroom, and throughout the community. You could follow us on Facebook, Twitter and Instagram, or subscribe to our newsletter to stay up-to-date on news and opportunities. Consider having a meal at our zero waste dinning halls; and taking alternative transportation to get there! You could learn more about the Energy Challenge and ways to get involved; either by small changes you can take, or by volunteering for initiatives like the Campus Farm. You could enroll in a sustainability course, or visit us at the E-House. 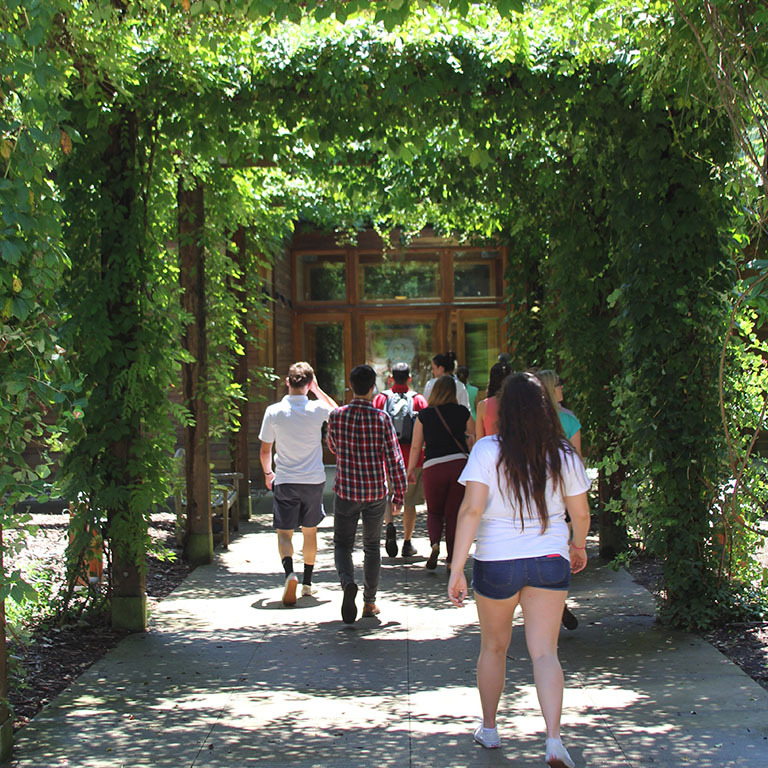 You could stroll through the Arboretum during all the different seasons to examine biodiversity, or join a working group to further sustainability on campus. Whatever your goals are, contact us to see how we can help you sustain IU!